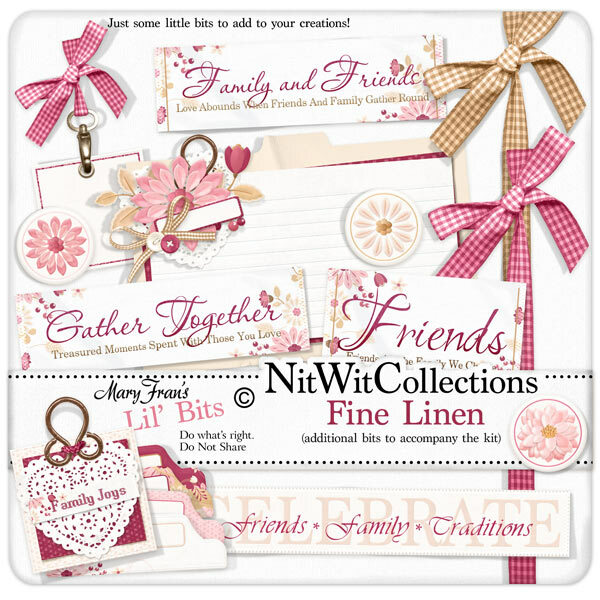 Lil' Bits "Fine Linen" is like having a caterer of sorts. All of the premade pretty digital elements are all set out for you so you can sit back and use of them without having to create them! These digital elements are NOT included in the FQB "Fine Linen" Collection so don't pass these by! 1 Label - "Family and Friends...."
1 Label - " Friends...."
1 Label - "Gather Together...."
1 Tag - "Family Joys"